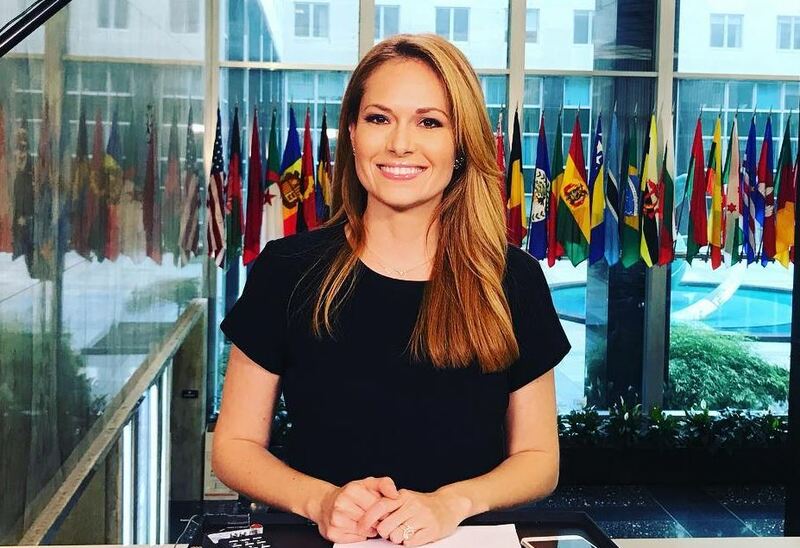 Gillian Turner is well-known as a news correspondent for Fox News Channel but before she became a TV personality, she built an intimidating resume working for different institutions, including the American government. She served in different capacities at the White House National Security Council during the administration of former US Presidents – George W. Bush and Barack Obama. While serving under Bush as a Research Assistant in the Office of the National Security Adviser (NSA), Ms. Gillian’s dedication to work set her apart and eventually earned her the National Security Council Outstanding Service Award. At the moment, Turner is based in Washington D.C where she works full-time as a Fox News correspondent. 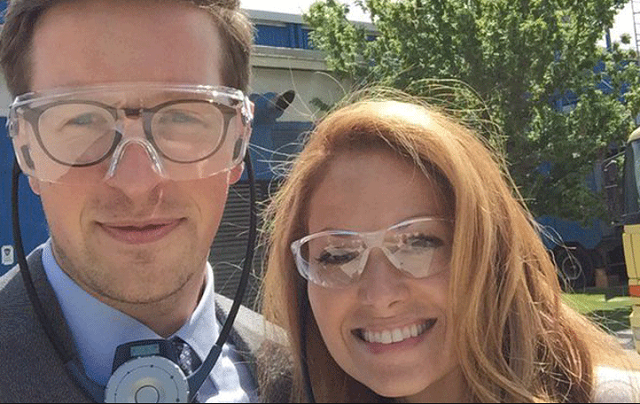 Who is Gillian Turner of Fox News? Born on September 6, 1982, in Cape Town, South Africa, Gillian Turner grew up in New York alongside her siblings. Both of her parents are authors. She attended a high school in New York and upon her graduation, Gillian continued her education at Columbia University in Upper Manhattan, New York City and graduated with a BA in Comparative Politics. As a result of her outstanding academic performance, Gillian was given an American politics award and Vidda award for Academic Excellence. She was also named a Sharp Fellow at the Columbia University. Later on, she bagged a Master’s degree in African Security Studies from the University of Cape Town, South Africa. The super-smart lady has worked at the United States Department of State in the Bureau of Democracy, Human Rights, and Labor Affairs (DRL), the United States House of Representatives in the Office of the Minority Leader and at the global business strategy firm known as the Albright Group, LLC (now Albright Stonebridge Group – ASG). She also worked as a Senior Associate with Jones Group International (JGI), a limited liability company that provides professional consultancy services in areas of national security, international matters, foreign policy, energy security, and leadership. While with JGI, Gillian Turner worked directly with Jim Jones, ex-National Security Adviser. Gillian Turner served under the administration of former Presidents George W. Bush and Barrack Obama as a Research Assistant in the Office of the National Security Adviser and the Acting Director for Legislative Affairs at the National Security Council respectively. She worked in the latter office for about two years and effectively carried out her primary duty of liaising between the White House and the U.S. House of Representatives on foreign policy and national security issues. Due to her unparalleled contribution to the NSA during her time serving under Bush’s administration, Gillian became the youngest person to receive the National Security Council Outstanding Service Award. In 2014, Turner joined Fox News Channel (FNC) as a contributor, covering top daily news stories across both daytime and primetime programming. 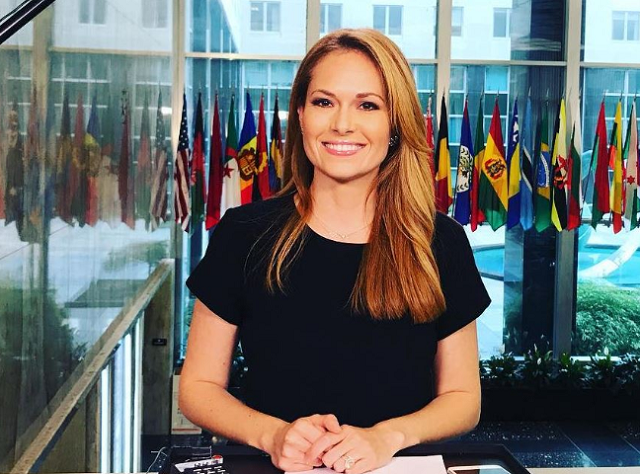 After spending three years as a contributor, she was eventually named a full-time news correspondent in December 2017. Within the time she has been with the network, Turner has appeared on a number of shows, including Fox News Sunday, America’s Newsroom, Outnumbered, MediaBuzz, Tucker Carlson Tonight, Fox & Friends and The Five. She is still active till date. The intelligent media personality is said to have an estimated net worth of 1.5 million and an annual salary of 300 thousand dollars. She makes her money, not just from working with Fox News Channel and Jones International Group, but also from endorsements deals. Gillian Turner is single but not available. Although she likes to keep her private matters away from the public, it is known that she is in a very serious relationship with an unidentified man and the duo has been a pair for quite some time. They got engaged in 2016 and she even posted a picture of herself and her fiancé on her Instagram one time, but she has kept his name and every other detail about him a secret. She once spoke of how she keeps fit saying it was by paddle boating with her fiancé and dogs on the Potomac during her free time. Even though there are no words at the moment about when they will finally tie the knot, we will sure keep you posted. 1. Gillian Turner has training in ballet dancing and after she graduated from high school, she worked as a professional ballerina with the Pennsylvania Ballet for one year. According to the lady, her ability to perform under pressure is as a result of her training in classical ballet. 2. Ms. Turner is active on social media. She has more than 6.4k followers on her Instagram account while her account on Twitter has over 52.1k followers. 3. She is 5 ft 7 in tall, weighs 56kg and has body measurements of 36-25-35 inches (bust, waist, and hip respectively). 4. Ms. Turner is a Christian.